Apple Inc is shaking up leadership and reordering priorities across its services, artificial intelligence, hardware and retail divisions as it works to reduce the company’s reliance on iPhone sales. The changes, which can be traced back to last year, have included high-profile hires, noteworthy departures, meaningful promotions and consequential restructurings. They have rattled rank-and-file employees unaccustomed to frequent leadership changes and led Apple to put several projects on hold while new managers are given a chance to reassess priorities, according to people familiar with the matter. The primary reasons for the shifts vary by division. But collectively, they reflect Apple’s efforts to transition from an iPhone-driven company into one where growth flows from services and potentially transformative technologies. Leadership moves of the past few months include promoting artificial intelligence chief John Giannandrea to the executive team; replacing departing retail chief Angela Ahrendts with head of human resources Deirdre O’Brien; and pushing out top Siri voice-assistant executive Bill Stasior. Apple has also trimmed 200 staffers from its autonomous-vehicle project, and is redirecting much of the engineering resources in its services business, led by Eddy Cue, into efforts around Hollywood programming. The changes, along with Apple’s recent sales woes, have become conversation fodder for current and ex-Apple employees, partly because they are among the most pronounced since Tim Cook’s early years as chief executive. Retail chief Ron Johnson left shortly before Mr. Cook took over in 2011, and mobile software executive Scott Forstall was dismissed a year later. Their departures led to the hiring of Ms. Ahrendts, the elevation of Craig Federighi to the top software job and Mr. Cue’s assumption of responsibility for several services, creating an 11-person executive team that remained largely unchanged for five years. The competitive landscape could complicate Apple’s efforts to diversify beyond the iPhone. Media services like Netflix Inc. and Spotify Technology SA have a head start and more subscribers; Google’s autonomous-vehicle initiative has logged more miles on the road; and Amazon.com Inc’s Echo speakers have put Alexa into millions of homes. Apple spent $14.24 billion on research and development last year, a 23 per cent increase from the year prior. Though it continues to work on projects in the augmented reality, autonomous vehicle and health sectors, it hasn’t yet released a major new product in those areas. 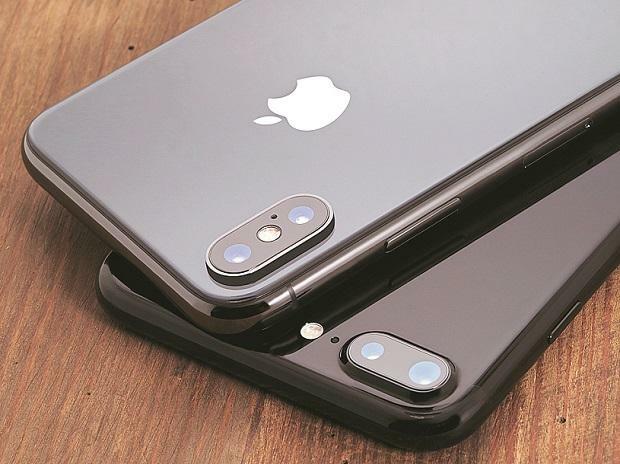 Sales of its latest gadgets — Apple Watch, AirPods and HomePod — have been mixed, and none has offered the pricing power or volumes of the iPhone, one of the best-selling products in history. Mr. Cook, who prides himself on his long-term management focus, has been anticipating the maturation of the smartphone industry since as early as 2010 and planning for how to grow as phone sales slow, former employees say. Apple this year stopped reporting the number of iPhones it sells, a move many observers interpreted as an end of the smartphone salad days. Though the iPhone still contributes about two-thirds of Apple sales, the company has encouraged investors to focus on a growing services business, which includes streaming-music subscriptions, app-store sales and mobile payments. Services are expected to top $50 billion in sales by fiscal 2020 and contribute more than about 60 per cent of Apple’s total revenue growth over five years, according to Morgan Stanley , which estimates the iPhone fueled 85per cent of growth during the prior five years. The services business also is key to preserving iPhone loyalty. Just as Amazon has used media and music offerings to increase the value of Prime membership, Apple executives view its mobile payments, music service and coming video offering as ways to encourage current iPhone owners to buy future Apple handsets. Apple has said it aims to pass 500 million paid subscriptions across its platform by 2020, up from 360 million now. To help reach the goal, Apple is spending more than $1 billion to create original shows this year starring Hollywood A-listers such as Reese Witherspoon. It has considered bundling video into a monthly subscription offering that would also include cloud storage, according to people familiar with the plans. The company also is in talks with major newspapers about offering a news service that would cost $10 a month. It has discussed bundling those services together into a single subscription along with iCloud storage for photos and files, a person familiar with the plan said. Mr. Cue, who poached two top executives from Sony Pictures Television in 2017, has focused most of his engineers on the coming video offering, two of these people said. The company is pushing to announce the new offering at a media event scheduled for March 25 on its Apple Park campus, people familiar with the event said. Apple is also expected to lean on its artificial-intelligence team to personalise the services on people’s devices. The company last year hired Mr. Giannandrea away from Alphabet Inc.’s Google, where he held a similar role incorporating AI into products like Gmail’s inbox app. Mr. Stasior from his responsibility overseeing Siri, Apple’s flagship AI product, according to people familiar with the change. Mr. Giannandrea has assumed that responsibility and is looking to improve Siri’s accuracy and performance, the people said. The Information earlier reported on Mr. Stasior’s status. In August, Apple hired Tesla Inc.’s engineering chief Doug Field and gave him day-to-day responsibility for the company’s roughly 1,400-person autonomous-vehicle project, known as Project Titan. Last month, he cut the team by about 200 people, according to people familiar with the change, which was previously reported by CNBC. TVs in stores to showcase its slate of forthcoming shows, people familiar with those plans said.